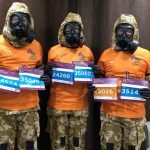 James Taylor, David Turner & Claire Chadwick are raising money for Teddy20 by taking part in two runs during the Bournemouth Marathon Festival on Saturday 7th October 2017 – the warm-up act Supersonic 10K run along the Bournemouth seafront followed by the main event…the Supernova 5k in full NBC (nuclear, biological & chemical) suit kits including respirators. 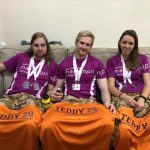 The inspiration behind this comes from James, who has for a number of years supported the Teddy20 charity by volunteering to help as a roadie with TEDDY ROCKS, a growing Music Festival raising money in the heart of Dorset. If you’re free on Oct 7th, come down and cheer them on or you can help James and his crew reach their £250 target by donating to their crowdfunding page here. 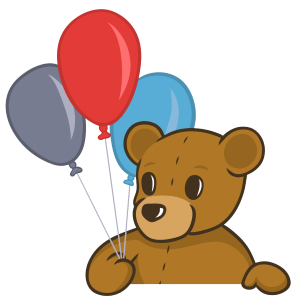 From all of us here at Teddy20 we immensely appreciate your support and wish you the best of luck!! 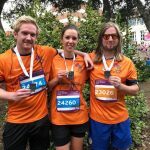 James and co ran strong in the Bournemouth Marathon Festival even after wearing full NBC suits! 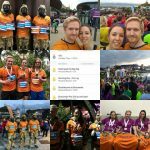 They managed to smash their original target and raise a massive £365!! We’re all so proud of you and cant thank you enough for helping us to support children and young people with cancer.